Here's project #2 from National Scrapbook Day. I made this page for the NSD challenge. It was a four hour challenge in which we had to make a layout incorporating items starting with N, S, and D.
The arrangement with four squares came together really quickly, but I struggled with what papers to use. I tried a bunch of different combinations before this one. Finally, I realized that the pinks and purples over the blue base made sense symbolically. 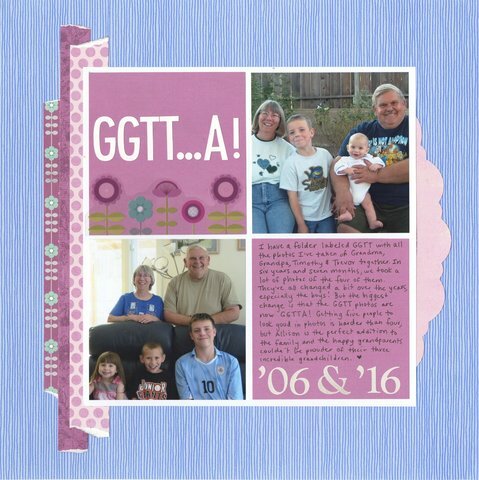 The journaling says that I took so many photos of Grandma, Grandpa, Timothy and Trevor over the years that I had a folder labeled GGTT. When Allison was born, I changed it to GGTTA. 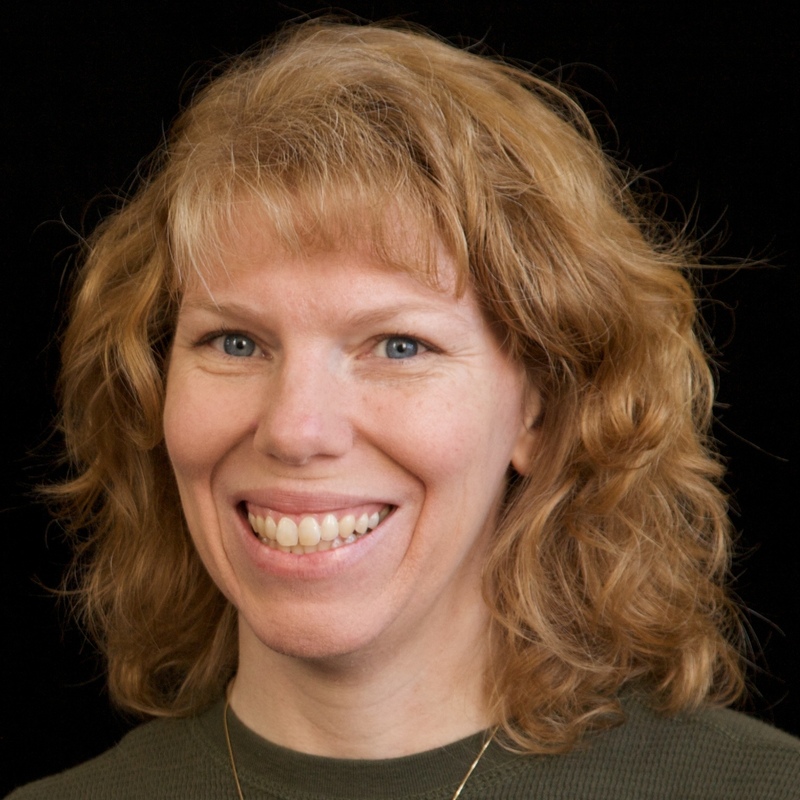 Allison has certainly added a lot of pink and purple to our lives over the last four years! There are a lot of things I like about this layout, but my favorite is that Grandma, Grandpa, Timothy and Trevor have the exact same smiles and head tilts in the two photos, which were taken ten years apart. Look at Timothy in particular. Same smile, same lean, same shoulder forward. Trevor has teeth now, but the smile is the same. Love it. Love love love love this! LOVING the progression photo ... and you are soooooooooo right! Both boys have the same expressions all those years later! I LOVE THAT!!!!!!! This is AMAZING!!!!!!!!!!!!!!!!!!! !